Open Library Demonstration Screencast | Disruptive Library Technology Jester on License for Open Library ? 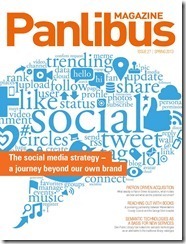 Welcome to the first issue of Panlibus Magazine for 2013. Just as libraries are requiring modern buildings and spaces to meet user needs, the library is also requiring new technology to support user needs, often with less resources. The use of technology in libraries is a topic explored throughout this issue. Patron Driven Acquisition has been around since the 90s and has enabled universities to redefine acquisition models. Heather Dawson from Bertram Group takes a look at where PDA is now and why there has been rapid shift towards it in recent months (p 4-5). Social media and its place in the library world has long been discussed. At Stockholm Public Libraries it is very much part of an ongoing broader digital strategy. Åke Nygren talks us through the how the library has extended its brand as a result of the strategy (p 14-15). Oslo Public Library is currently looking at flexible metadata formats to improve service and implementing semantic technologies to present their collections in new ways (p 8-9). Closer to home, Warwickshire Libraries has extended its service to hospitals (p 12), and Stockton Libraries held the Northern Children’s Book Festival at the end of last year (p 6). We also have an exclusive extract from Capita’s recent white paper ‘What every university librarian needs to know about enhancing the student experience’ (p 12-13). Capita’s Additions Partners provide a wide range of solutions designed to improve the library service. In this issue we feature an article from PTFS and a case study with lorensbergs and Bibliotheca. I hope you enjoy this issue, and as always, I encourage you to get in touch with your thoughts on any of the articles. If you have any topics you would like to share with the library world, I would be extremely pleased to hear them. Please contact me at mark.travis@capita.co.uk with any ideas you may have. Hello, I see this post in my feed reader, and I would like to read this issue… but there seems to be no link in this post to how I actually read the issue you are announcing! Am I missing it? Or is it actually subscription only or something? Thanks for bringing up, Jonathon. Thanks for posting the links, Thomas.